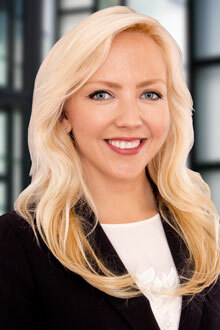 Dallas, Texas (April 15, 2019) – Dallas Partner Leiza Dolghih has published a practice note for Lexis Practice Advisor titled “Garden Leave Provisions: Negotiation, Drafting, and Legal Issues” which provides guidance on drafting such provisions in employment agreements. Ms. Dolghih discusses the differences between garden leave provisions and traditional non-compete agreements, and provides an overview of pros and cons of such provisions. The article also discusses when and how garden leave provisions have been enforced, or not enforced, by the courts, and the one state that statutorily requires garden leave under certain circumstances. It concludes with a list of helpful considerations when drafting garden leave provisions. Ms. Dolghih is a co-chair of Lewis Brisbois’ Trade Secrets & Non-Compete Disputes Practice. She is a frequent speaker and writer on employment and trade secrets issues, and regularly publishes legal updates on her blog, the North Texas Legal News Blog. You can find a copy of the full article here. Lexis Nexis subscribers can also find it here. You can also view the article on Law360 (subscription required). Note: This excerpt from Lexis Practice Advisor®, a comprehensive practical guidance resource providing insight from leading practitioners, is reproduced with the permission of LexisNexis. Reproduction of this material, in any form, is specifically prohibited without written consent from LexisNexis. Learn more about Lexis Practice Advisor here.